Bozena U. Zaremba has served the needs of the Jan Karski Educational Foundation since 2013 as an administrative and project manager, as well as a writer and translator. She is responsible for promoting, distributing, and carrying out JKEF’s two leading projects: graphic novel Karski’s Mission: to Stop the Holocaust (for which she served as editor and translator) and traveling exhibition The World Knew: Jan Karski’s Mission for Humanity (for which she translated the text). Her background is in writing, translation, and teaching ESL. She has contributed her essays and interviews to the Polish Daily News (Nowy Dziennik), Cosmopolitan Review, Polish-Canadian Gazeta and—in Poland—Jazz Forum. She has published interviews with over 50 renowned international pianists, musicians, writers, and media personalities. 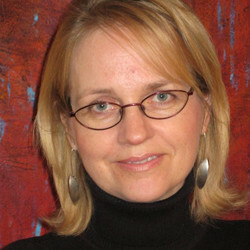 She writes for the Chopin Society of Atlanta and serves as editor of its newsletter, Chopin Notes. In addition, she contributes to Culture Avenue, an Internet magazine, winner of the 2018 Maciej Płażyński Award for promoting Polish arts and culture outside of Poland. Her translations into English include What I Received from God and People: A Story of Helena Modjeska by Joanna Sokołowska-Gwizdka and Radiation: A Tribute to Maria Skłodowska-Curie, a play by Kazimierz Braun. In 2007, Ms. Zaremba was awarded a Civic Achievement Award by the Polish American Historical Association for her "Contribution to Furthering an Understanding of the Polish Experience in America." She holds an M.A. in English from the Jagiellonian University in Krakow, Poland, and is a graduate of the State School of Music in Krakow, where she studied voice. She lives with her family in South Florida, where she enjoys singing in the local church choir.